ust as a high-quality camera takes better pictures than a "disposable" camera from the drugstore, a pair of high-quality binoculars does a better job of magnifying distant scenes than a cheap, no-name pair. Plus, some models are equipped with specialized features that make them particularly good for certain sports or activities. If you're new to binoculars, some of the terms and numbers can be a little confusing. But once they're explained, you'll find it fairly simple to understand exactly what they mean. Binoculars are generally described by two numbers. The first number tells you the magnification, or how many times larger a distant object will appear with binoculars compared to the unaided eye. Sometimes people call this "power" instead of magnification. The second number describes the objective lens diameter, or the size of the front lenses, in millimeters. Since larger lenses collect more light, the greater this second number, the brighter images will appear (other factors being equal). That's useful for improved low-light viewing. You'll also get a wider field of view with larger objective lenses (more on field of view below). Let's look at an example. If you're researching a pair of binoculars described as "8 x 32", you know that they'll let you see distant objects as eight times larger than you would without the binoculars. You also know that the objective lens diameter is 32mm. 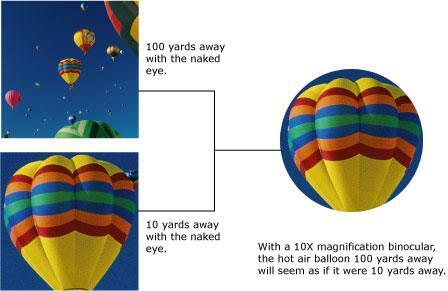 Using that number, you can predict that you'll be able to view far-off objects more closely than with a pair described as "6 x 32." You can also predict that these binoculars will perform better in low-light situations than an 8 x 25 pair, although not as well as an 8 x 42 pair. How much magnification do you really need? That depends. 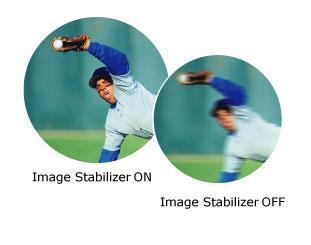 Increased magnification reduces the brightness of an image and decreases your field of view. You'll also find that the higher the magnification, the more tiny hand movements can contribute to a jumpy, shaky image. Therefore, you should stick to 7X or 8X power unless you have a very specific need for long-distance viewing. And if you do need higher power, be sure your binoculars have a large objective lens diameter so you get the most brightness possible even at extended magnifications. You may also want to consider image stabilization technology — that's just one of the special features we'll discuss below. Field of view is another important consideration when you're checking binocular specs. Simply put, this measurement indicates the width of the area you see through your binoculars. The advantage of a wide field of view is that it's easier to spot things without moving your binoculars around. That's particularly useful for watching birds, or tracking the movement of an athlete on a playing field. Field of view can be affected by lens design, as well as the binoculars' objective lens diameter in relation to the magnification. Therefore, a pair of binoculars with 8X magnification and a 32mm objective lens diameter may have a wider field of view than a pair with 10X magnification and 32mm lens diameter. Field of view can be measured in degrees or in feet. With most binoculars, field of view is between 6° and 7.5°. Don't be puzzled by seeing two different measurements in degrees; often manufacturers publish "real field of view" and "apparent field of view." Apparent field of view is simply the number obtained when you multiply the real field of view by the binoculars' magnification. When field of view is measured in feet, it is measured as the width of your view at 1,000 yards away. 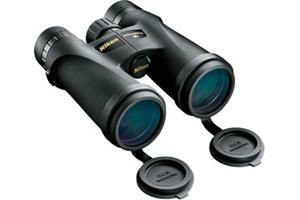 The 8 x 32 binoculars we discussed above might have a field of view of around 400 feet at 1,000 yards. In general, most good-quality binoculars have a field of view between 300 and 375 feet at 1,000 yards. Most high-quality binoculars list a measurement called eye relief. Eye relief is the maximum distance you can have between your eye and the eyepiece lens before the field of view is reduced. Basically, as you move binoculars farther away from you, you see a smaller and smaller portion of the image, like looking through a tunnel. If you wear glasses, you're going to have to hold the binoculars a little farther away than someone who doesn't. With good eye relief, say 14mm or more, you don't miss out on the full image, even while holding the binoculars' eyepiece against your glasses. For additional viewing comfort and flexibility, many binoculars offer rubber eyecups which can be folded down to reduce your distance from the eyepiece lens. Some even have a turn-and-slide mechanism which extends or retracts the eyecups smoothly. There's more to consider than just numbers when choosing a pair of binoculars. Here are a few other handy features you may be in search of — or not even know are available. 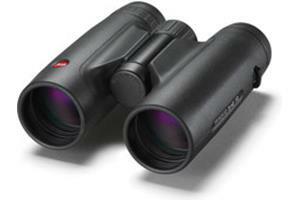 Compact size — Many people prefer binoculars which offer relatively light weight and compact size. Fortunately, it's getting easier to find powerful, high-quality binoculars that hover in the 1-1.5-pound range. And there are ultra-compact models which weigh much less than a pound. Water-resistant or waterproof design — So many activities which include the use of binoculars, such as hunting, birdwatching, and marine use, involve damp, foggy, or humid conditions. Water-resistant and waterproof binoculars eliminate concerns about fogged-over inner optics and other kinds of moisture-related damage. Some waterproof binoculars can even withstand short submersions (check the manual to be sure, though). Image stabilization — This technology is designed to reduce shakes and vibrations caused by hand motion, which can make for a frustrating viewing experience. Binoculars with image stabilization technology have built-in sensors which can detect movement. 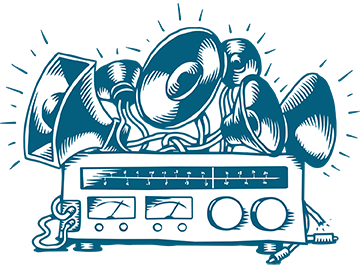 When a shake occurs, a tiny microprocessor adjusts the binoculars' optics to compensate for the movement. The result is a steady, consistent view — much appreciated by people trying to get a clear view of a distant object while aboard a moving boat, or birdwatchers attempting to follow a bird's movements through the treetops, for example. Coated lenses — Often, a primary difference between lower-end binoculars and better models is in lens quality. Well-made binoculars have multi-coated lenses that improve image contrast and clarity, for the most accurate, detailed viewing possible. Rangefinder — Some long-distance viewing devices include an infrared laser that can calculate the viewer's distance from an object. Rangefinders are particularly popular with golfers who are playing an unfamiliar course, and who'd like to be able to choose the right club for their next shot. Warranty — Good-quality binoculars are usually made to last. When you're binocular shopping, look for a lengthy warranty for traditional binoculars, and at least a 3-year warranty for high-tech models with moving internal parts. For most people, there's no need to look deeper into binocular specs when buying. 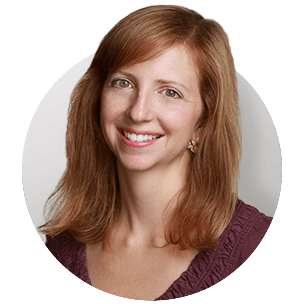 However, if you do, you'll come across a measurement called exit pupil diameter. Exit pupil diameter is yet another measure of low-light performance, because it refers to the size of the beam of light that is transmitted to your eye through the binoculars. The larger this number, the greater the relative brightness of the image, and the more detail your eye will be able to perceive. To get this number, you divide the binoculars' objective lens diameter by their magnification. As your magnification increases, that number will be smaller and smaller, and your image will get darker and darker. As we discussed above, that's why people in search of exceptionally high magnification should look for particularly wide objective lens diameters as well. In an ideal world, we would all get the best binoculars available, with every bell and whistle we could desire. But realistically, we often don't need the top-of-the-line binoculars if they're going to be used for a very specific purpose. Here, we've looked at some popular activities, and developed some very general recommendations for what you should look for. Of course, sometimes you may give up one thing in order to gain another advantage. For instance, you may not need as wide a field of view if you're choosing binoculars with image stabilizer technology which make it easier to scan your surroundings. So please take these suggestions as guidelines, not rules.